The Logo Company is one of those feel-good companies that really makes you feel like it has your company's best interest at heart. The pricing is reasonable, and the plans are extremely flexible. The Logo Company offers some benefits that you'll be hard-pressed to find with other logo designers including a 90-day money-back guarantee, free file storage (forever! ), and unlimited revisions. Combine that with professional designers, a super-fast turnaround time, and plenty of options for print, and The Logo Company is looking like a good choice for any smart company. 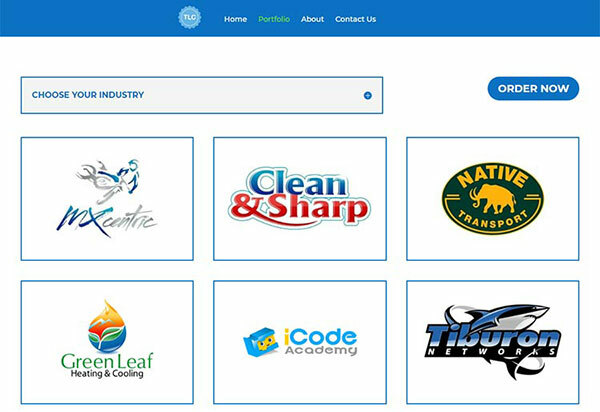 The Logo Company has an impressive portfolio that you can view on the website. The portfolio is filled with stunning logo designs that show you the kind of quality work this company provides. As a side note, while perusing the portfolio, we appreciated how well organized it is. You can select an industry from the (long) drop-down list to see design ideas that are industry-specific to your business. You can also read real customer testimonials (or watch the videos) to get an idea of how satisfied The Logo Company customers are with the brand. The Logo Company has thousands of 5-star reviews across the web and earned an Excellent trust score rating from TrustPilot.com. That probably has something to do with the fact that all of The Logo Company designers have a minimum of 12 years of experience designing, and these high standards show in the many professional logo designs within the portfolio. This is a competitively priced service provider for the logo design industry. 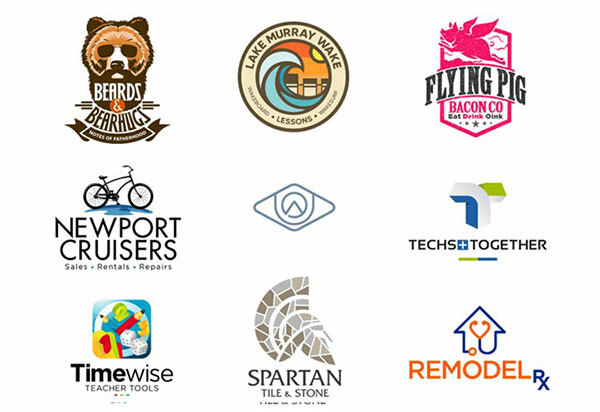 With some logo designers charging upwards of $500 (even well into the thousands) and some that charge much less, The Logo Company falls within the mid-tier pricing for logo design services, and it gives you a solid service compared to other providers in this bracket. Besides the already competitive pricing, The Logo Company offers even greater value for money. The fact that there are unlimited revision rounds can save a business a tremendous amount of money (and frustration) since they won’t have to pay for additional changes to the logo design. That alone is an amazing money-saver, but we’ll talk more about unlimited revisions later on in the review. Within each plan, you can add optional extras. For example, the Logo Design Only plan offers the option to add a stationery design upgrade for $50. This will give you customer business card designs for up to 5 associates and custom letterhead design with matching envelope design. If you want the complete look, this is a good value-for-money option. Another feature that makes The Logo Company stand out from the competition is its money-back guarantee. If you aren’t completely satisfied with the initial logo design, you can get your money back, no questions asked. What’s even more incredible about this offer is that The Logo Company gives you 90 days to file your money-back request. That means you have almost 3 months to sit with your new logo design, get feedback from customers, employees, and shareholders, and see how it fits your company. The Logo Company’s terms of service are clearly spelled out on the website, earning this company points for transparency. To sum it up, the customer gets full ownership of the logo design once the transaction is completed via a certificate of transfer. You’ll also receive the logo design in a variety of formats, so you can use it in different areas of your business dealings, including online, over social media channels, in emails, on letterhead, etc. You have 90 days to file a complaint if you want to receive a full refund. Payments are taken upfront for whichever logo design plan you choose, and since all revisions are free, there are no additional charges. The Logo Company offers email or phone support, and the staff is known to be incredible. The company is always on call, but you will probably only get an immediate response during business hours Monday thru Friday 7am-7pm ET. You can also reach out to The Logo Company customer support on Facebook for a fast response. What's even more impressive about The Logo Company is that customer service is available to speak to third-party services on your behalf as well. So, if you are trying to get something printed and the printer just isn’t making sense, The Logo Company will step in, speak their language, and iron out any creases in the printing process. That’s a tremendous service that you won’t find from most other companies in the world. Unlimited redraws means you can say no to any design they present to you, and you'll get a fresh new one in its place. This happens until you receive the design you love. Unlimited revision rounds means you can keep tweaking that logo design until you get the exact logo you envisioned. To make the design process even more inviting, The Logo Company offers each customer 5 designers—so that’s 5 design choices to choose from. So, you aren’t tied to a single designer’s style or vision. Besides, you get unlimited redraws, so you can keep telling the design team to try again until they hit on the style that you are looking for. In case that wasn’t enough, The Logo Company delivers the finished product in impressive time. With this company, you can go from mockup to file transfer in just 3 days. There are other logo design companies that will deliver a logo in 2 days, but you won’t get the same amount of customization in that time. And 3 days is still really fast by industry standards. The Logo Company is one of the best options in logo design today. For a fraction of the price that many top designers charge, The Logo Company offers you quality logo designs from a vast selection of designers and a truckload of benefits to boot. With unlimited revisions, unlimited redraws, and a wide variety of file formats handed to you, this is logo design at its best. Plus, the 90-day money-back guarantee shows a commitment to quality and confidence in a company that truly stands behind its work, and the after sales support is almost unheard of. That's the kind of support and commitment you want from any service, and it's what puts The Logo Company at the top of its class.